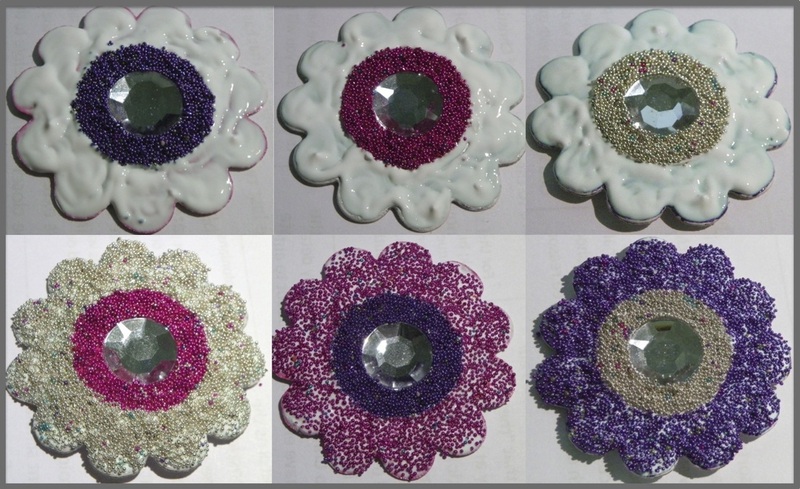 Make your own flower embellishments for your scrapbooking pages using micro-beads. 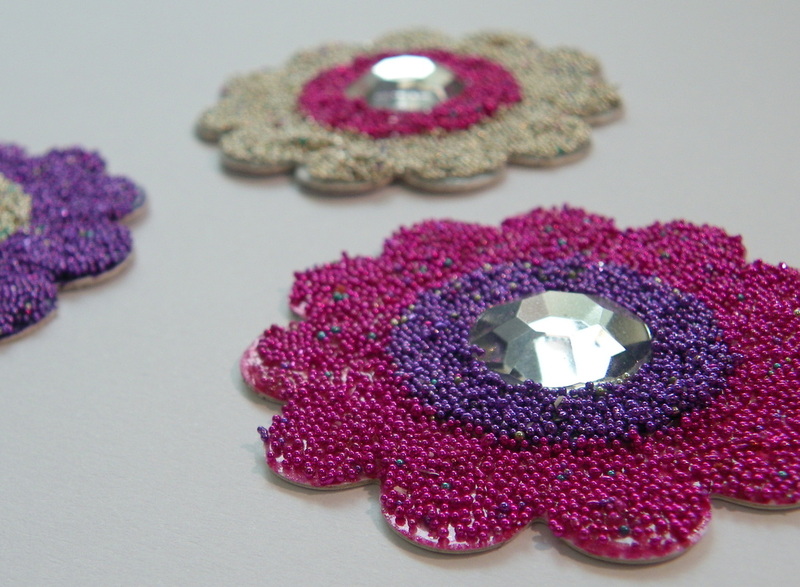 For instructions on how to make these embellishments into a striking card, click here. 1. Micro-beads in two or more colours. 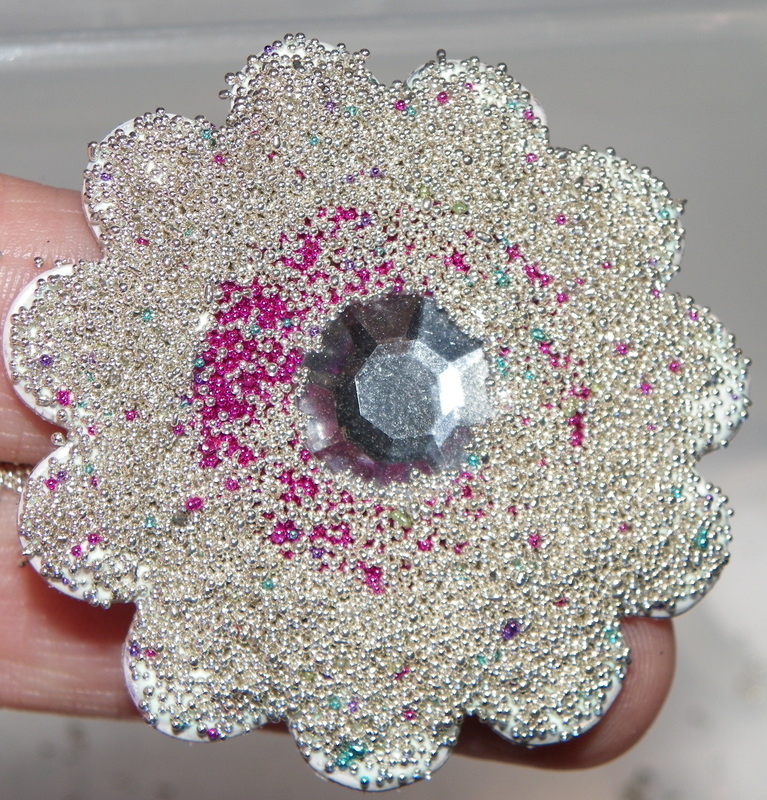 You could make similar embellishments with different effects using different sorts of glitters. 3. 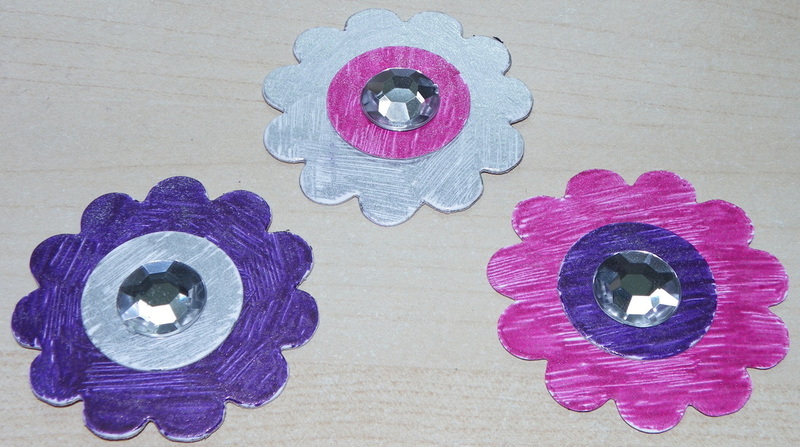 Flower and circle die-cuts. 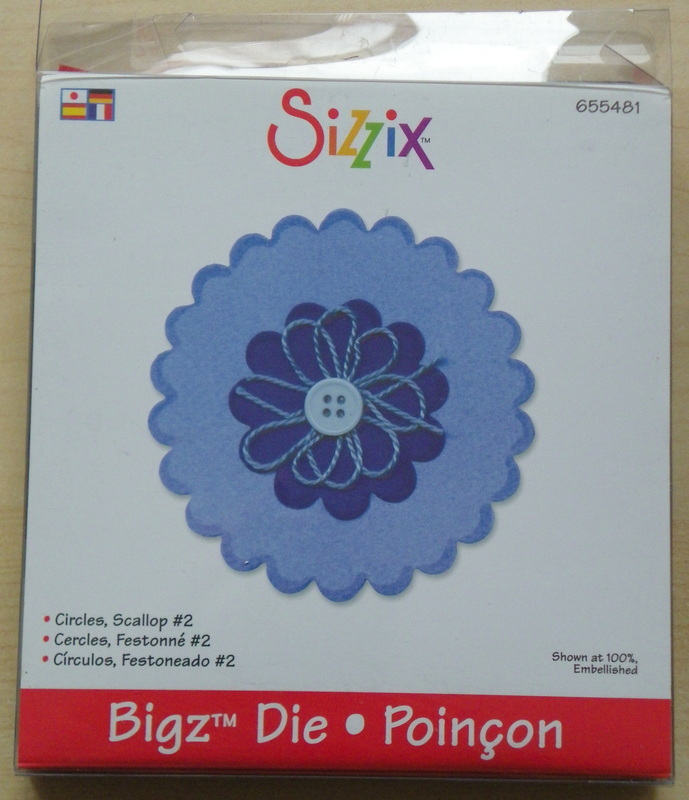 I used Sizzix dies "ORIGINALS DIE - Circles #2" and "Bigz Die Circles, Scallop #2) - see pictures. I cut them out from thick white card. 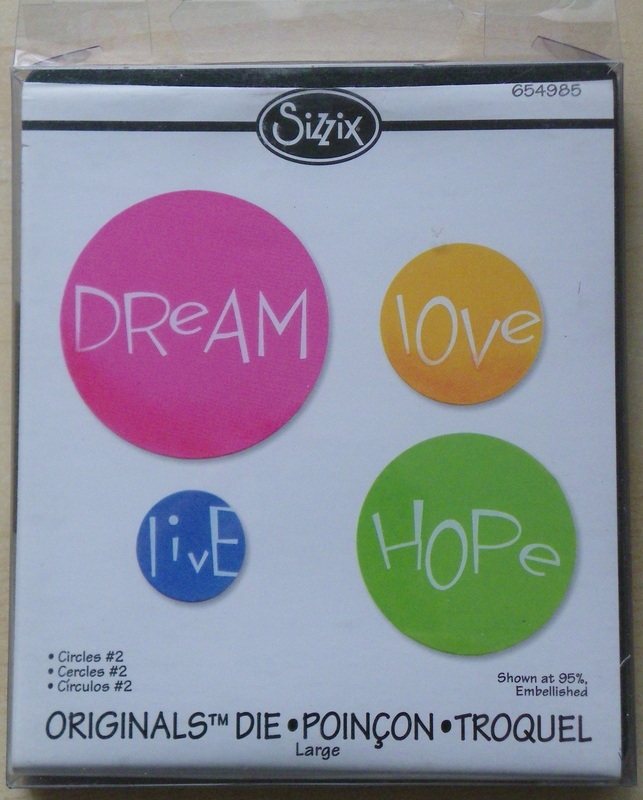 You can embellish die cuts of any shape using this method. 4. Colouring pens in the same colours as your micro-beads. I used "Smiggle glitter gel ink pens"
5. 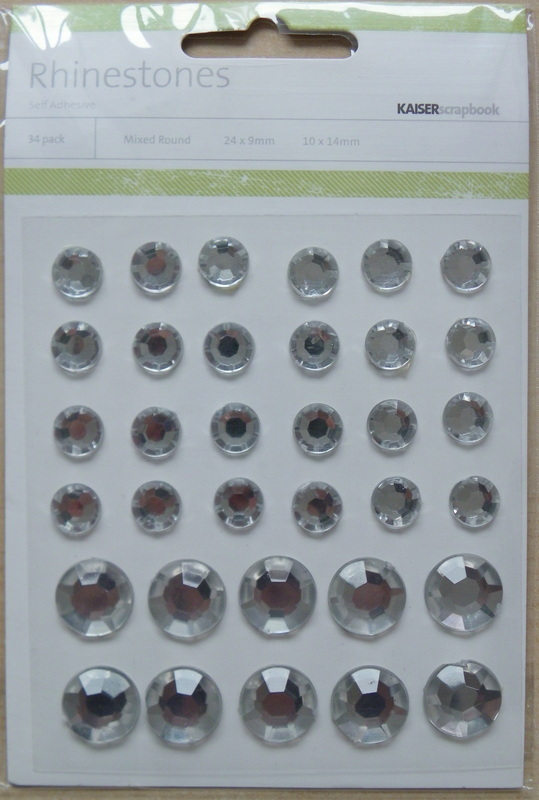 Self-adhesive Rhinestone. I used a pack from Kaisercraft. 6. Scrap paper to work on. 1. Colour in the die-cuts in the colours which you wish to cover them in micro-beads. 2. 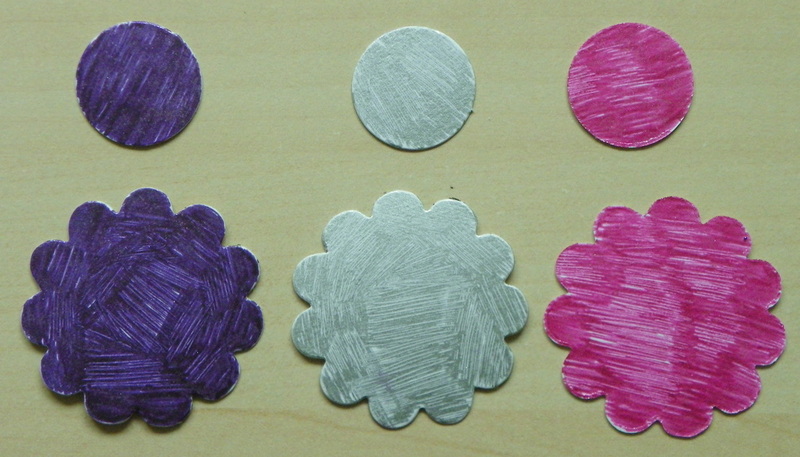 Assemble them into flowers (as shown) using double-sided sticky tape or glue. Adhere a rhinestone in the centre of each. 3. 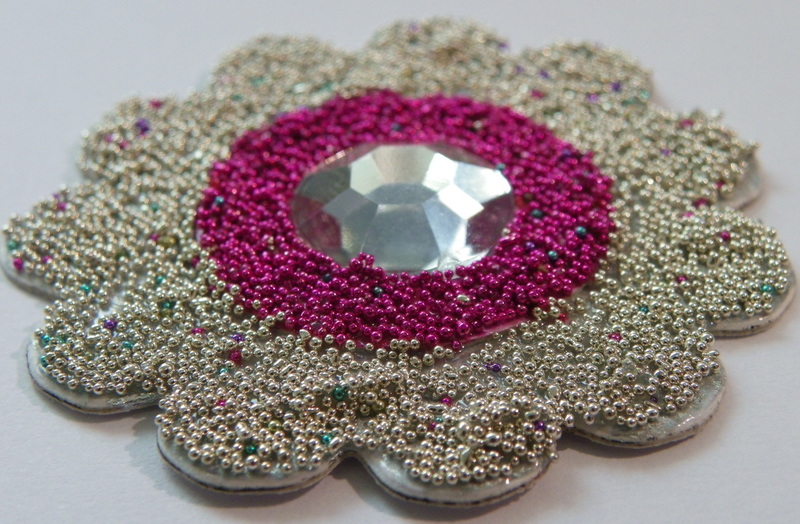 Cover the centre circle, surrounding the rhinestone, with a thick, even layer of white glue. 4. 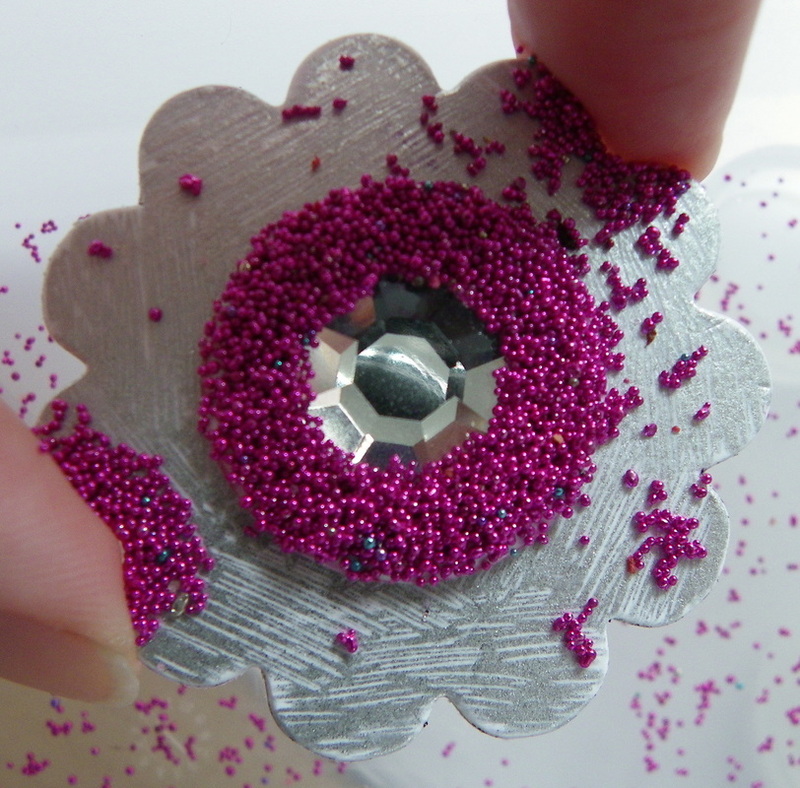 Pour micro-beads of the same colour as the circle over the glue, till there is a thick even layer. Set aside to dry. 6. 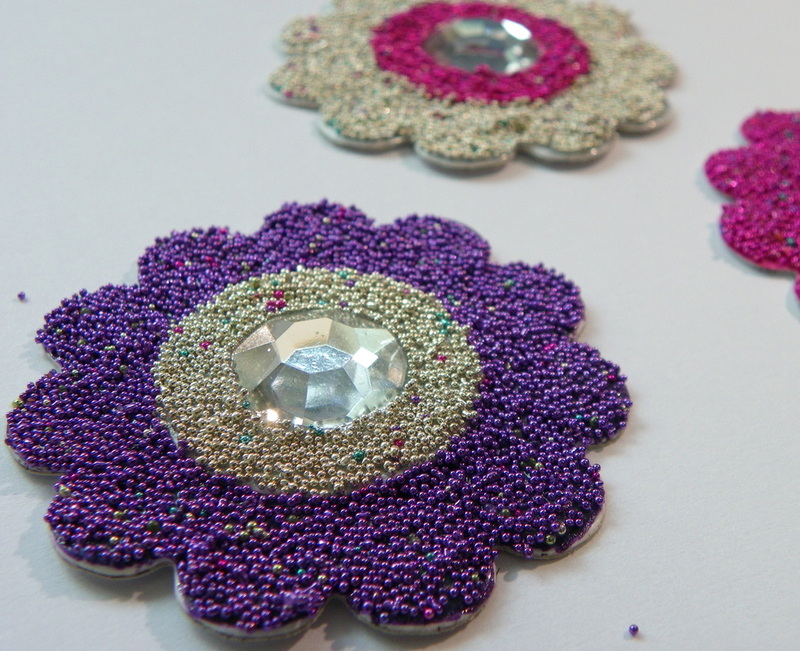 The finished embellishments are ready to use.